Wirehouse Morgan Stanley has settled with the New Hampshire Bureau of Securities Regulation for close to $1 million over allegations one of its former brokers churned client accounts, according to local reporting. Justin Amaral allegedly engaged in excessive trading in three client accounts, according to an investigation prompted by complaints from two of the clients, said bureau attorney Noah Abrahams, according to the New Hampshire Union Leader. The alleged churning cost to the three clients — all of them over 60 years old — was $483,284 in total, and they were forced to postpone their retirement as a result, according to Abrahams. Morgan Stanley agreed to cover the clients’ losses and pay a $450,000 administrative fine and legal costs of $50,000, while denying any wrongdoing, according to the Union Leader. A spokeswoman for the wirehouse tells the Nashua Telegraph the firm is pleased to have resolved the matter. Amaral was allowed to voluntarily resign from Morgan Stanley in May 2014 following allegations related to his status as a beneficiary and executor in a client’s estate and the use of discretion in client accounts, and he never registered with another firm, according to BrokerCheck. 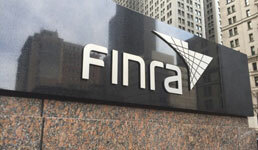 Finra barred Amaral in June 2015 for failing to appear for testimony in the industry self-regulator’s investigation, according to BrokerCheck. Four customer disputes brought against Amaral after his resignation from Morgan Stanley have all been settled, according to his record. To read the Nashua Telegraph article cited in this story, click here. To read the New Hampshire Union Leader article cited in this story, click here.